Is eco idle only available in passo hana? I saw a toyota passo today on a showroom. 2015 XL package 16000km done, unregistered. I forgot to check if it has eco idle feature or not. I want to ask is it only available in version hana or in X, XL,XG ?? Besides that dont buy any car without a verifiable auction sheet. u can PM for any further advice. Can you tell me how can i check if my passo is eco idle ?? Is there a switch or knob ? One more thing is that how can i verify auction sheet of the car?? There is a website named japanauc.com, i tried to verify with chasis number but it could not verify that. What does it mean ? ?what is the way to verify auction sheet? Pm me the complete chasis number with chasis code, I'll try to verify for you. 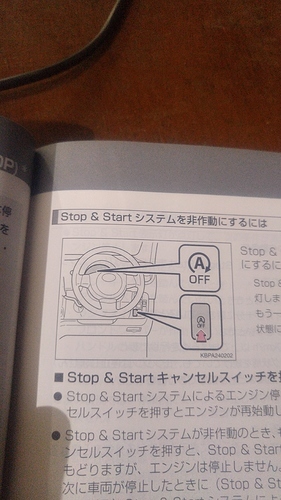 If the following button and indication is available in your car then it has Eco start stop option. Where should i send u chasis number?? u may whatsapp me at 3337777945 or use Pakwheels online verification service.